Charging Rhino ($0.11) Price History from major stores - Portal - MTGPrice.com Values for Ebay, Amazon and hobby stores! 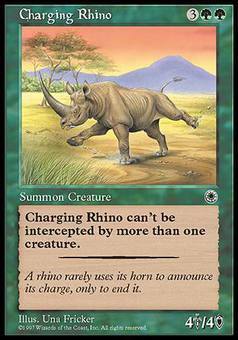 Card Text: Charging Rhino can't be blocked by more than one creature. 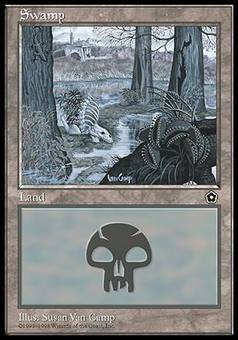 Flavor Text: A rhino rarely uses its horn to announce its charge, only to end it.